For all of our challenge lovers, be sure to stop back on the 15th when we post our next challenge. New challenges are posted on the 1st and 15th of each month. We would love to have you join in. Today you will see some great projects using our October Ribbon Club Assortment from our very talented design team. They always come up with some super ideas. Here is our blog hop list. If you get lost along the way, hop on back here and we'll get you back on track. At the end of the hop, comment on this post answering the question below for a chance to win our October Ribbon Club assortment and the extra goodies shown below. Do you like winter or merely tolerate it? Here in the Northeast they are predicting a very snowy winter. I think they make this prediction every year, but I feel like we are overdue for lots of snow this year. I'm so NOT looking forward to it!! Our winner will be selected from the numbered comments on this post on Wednesday, 10/17 using random.org. Be sure to check back on Wednesday evening to see if you are our lucky winner. #1 is probably not so lucky for winning, but I did get through the fabulous hop and I soooo needed it. I've been in a real funk lately and now I feel inspired. There were probably at least half a dozen stops I couldn't leave a message on because I dont have one of those accounts, but I did stop at everyone. Well, since I live in Florida, I don't dread Winter....it's like Spring for many others. We have such a long hot season, winter is usually welcomed with open arms here. I visited all the blogs on your hop and enjoyed each and every project they showed. all the details that went into all their projects is wonderful. I just tolerate winter! much prefer the spring and fall. Such a great and fun hop. So many beautiful projects. I don't like winter. The bitter cold is definitely my worst part. So I guess I'll have to go with I only tolerate it cause I have too. I like early fall especially, the smells of the pine trees, the bright and glorious colors of the trees, and the coming of the holidays in the air. Then of course the holiday baking and sharing. I love the RRR ribbon and how it accents my gifts and cards and reasonable in my budget , always makes them look special. All the ladies cards were inspiring and so festive, and bright. thanks for this blog an opportunity to win....blessed..
What a great hop, fab cards! I love winter for one reason only...my favourite time of the year is during it..yes Christmas!! Great blog hop. I like winter especially if I don't have to drive in it! We have farm animals so we have to be outside to take care of them. With the proper clothes it is not bad and I like coming in to hot chocolate and a fire. Great hop! I love winter some days, tolerate it others. The wind is a big factor for me. so much fun and I really love your ribbon. I love .... love.... love winter~! I'm from Arizona and we have maybe 2 weeks of what everyone else calls winter. I love when the temp dips below 80. That's our winter. I LOVE winter...especially if snow is involved (and I don't have to get out in it). Here in TN, though, we don't get much snow. I LOVE the ribbon assortment this month. So great for all the Christmas cards I need to do! Thanks for the giveaway! The hops are so fun to look at. At my age, i only tolerate winter. Have a nice winter! I'm too cold already...slippers, robe, coats..I'll take a nice, warm sunny day at the beach any day! Snow...one nice pretty snowfall glistening in the sun is so pretty. winter hmmmmmm, i moved south and hope to never have to go back. even though i'm warm natured the cold gets to my feet and fingers really bad. so i'm a tolerate winter person. when i was younger i enjoyed all that winter had to offer. it just offered it too much! so enjoyed the hop, wish me luck. I just finished the hop. It was great! I loved all the lovely projects. Makes me wish I was on everyone's mailing list. I could not pick out a favorite. I loved them all so. thanks for sharing your great projects ladies. Hopped all the way through! Whew, I'm pooped but inspired! Thanks for all the great ideas. Winter - humm, I must say I hate driving in the snow and ice. I also think I walk like an old lady now as I'm so afraid of falling. I am in the midwest and they are predicting a lot of snow for us too. I will just have to craft more! I tolerate winter best when there is plenty of sunshine so that the snow and ice don't feel so bone chilling cold. and we get lots of sunshine here in Colorado! I tolerate winter here in WI. So looking forward to SPRING already:) Thanks for a chance to win some awesome ribbon. Lots of creative projects! I prefer winter because I'm not fond of the heat. But I probably would not enjoy severe winter weather. Thanks for a wonderful hop. I love winter and snow and cozy nights. Don't like when people have to get out and drive in it. Blog hops are so much fun! I live in Utah and have plenty of snow most winters. Wish it would stay in the mountains and not in town! Great blog hop! As for winter, now that I have learned to ski, it's much more enjoyable. I get to spend time with my guys while I ski and they snowboard. I'm getting to enjoy more wintery weather. 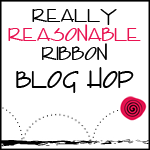 Fun blog hop, sorry I've been so scarce, I really love your ribbons and the blog hops and challenges. Hmmmm, I LOVE winter! I like in Cali though, so remember, I do not have to deal with snow. I just like the crisp air and the occational rain and if I really want snow, I just drive a couple hours, get my fill, and come back down to the warmer weather, lol. Thanks for the offers, the prizes & the lovely ribbons. I like winter when I don't have to go anywhere. Otherwise....we live in the country so a little bit of snow & a whole lot of wind can make a blizzard pretty quickly. Then I just want to curl up in front of the fireplace with a good book & my Honey! Oh, what a treat this blog hop has been! Thanks so much to everyone for all their creativity and inspiration. I'm usually a spring and fall person but I love the snow. I'm originally from the NY and where I live now we mostly just get ice in the winter. If we do get snow it doesn't accumulate so I do miss having a "real" winter. What a great "hop" ... thanks for sharing all of these wonderful creations. Like or tolerate? Well, now that I live in Texas, it's LIKE ... typically, no snow and freezing temps and we have blue skies throughout Winter. Nice hop. There are some great ideas here. Along with some great holiday ribbon! Really enjoyed seeing everyone's beautiful projects. I like winter... until I have to shovel ;) Great time of the year to stay inside and craft! Fun hop! So many gorgeous ribbons featured on all the projects! Winter is tolerated! Fall is my favorite season. We don't get too much snow where I live, maybe just a dusting a couple of times in the season. but I work at a higher elevation than where I live, and the snow can make it a pain to get to work! I do tolerate it now but in the past when I was younger & healthier it was enjoyable. It is difficult to handle the cold now. I had a wonderful time going through all the blogs on the hop. Lots of beautiful creations. I prefer the warm weather, myself. I don't like the cold, and the rain and the wind we get here, and dealing with all the jackets and such. Give me 90 degrees of sunshine and shorts any time! lol! A big "thank you" to all the ladies on the hop who did a fabulous job of creating projects to give us inspiration! I liked that each project was unique and gave many ways to use RRR's beautiful ribbons! To answer the question do I like winter or do I merely tolerate it...Yes I like winter. In fact I like all the seasons. Being that I live in Texas for the most part our weather is mild in the winter. When we do experience "true winter" it doesn't usually last very long unlike the many other states. Thank you again for hosting a wonderful blog hop. It was fun and I have been inspired to go create! Wonderful bloghop! Great ideas for this assortment. I love winter! I live in NC so the weather is not horrid, just chilly to cold, very little snow (if any) and usually lots of sunshine. After a brutal summer, winter is always welcome! Thanks for a chance to win!!! I really enjoyed the hop today and viewing all the great projects. I live in South Alabama so our winters are very mild. We enjoy the change from the hot summer but as always before it's over we are looking forward to those wonderful beaches again! !Thanks again to everyone!! Fantastic hop, loved all the inspiration which I need in the next couple of months til Christmas.